Escape the urban bustle at Dolphin & Whale Watching and Muogamarra Nature Reserve. Popular historic sites such as The Rocks and St Phillip's Anglican church are in your itinerary. Change things up with these side-trips from Sydney: Blue Mountains National Park (Pulpit Rock Lookout, Anvil Rock Lookout, & more), Coachwood Glen Nature Trail (in Megalong Valley) and Logan Brae Orchard (in Blackheath). Spend the 10th (Wed) exploring nature at Sydney Harbour National Park. Spend the 19th (Fri) exploring nature at Bouddi National Park. 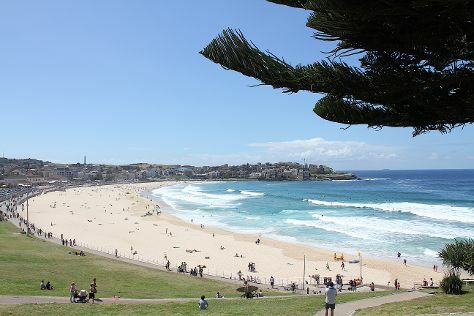 Next up on the itinerary: browse the eclectic array of goods at Sydney Fish Market, examine the collection at Australian National Maritime Museum, stroll through Bondi Beach, and enjoy the sand and surf at Manly Beach. To find other places to visit, ratings, photos, and other tourist information, read our Sydney planning tool . If you are flying in from Philippines, the closest major airport is Sydney Kingsford Smith International Airport. Expect a daytime high around 21°C in July, and nighttime lows around 9°C. Finish your sightseeing early on the 20th (Sat) to allow enough time to travel back home.